Woodlands Elite Humble - CLASSES/PRIVATES	if you are not redirected in a few seconds. These classes are structured for up to 10 individuals with one qualified WECC instructor! 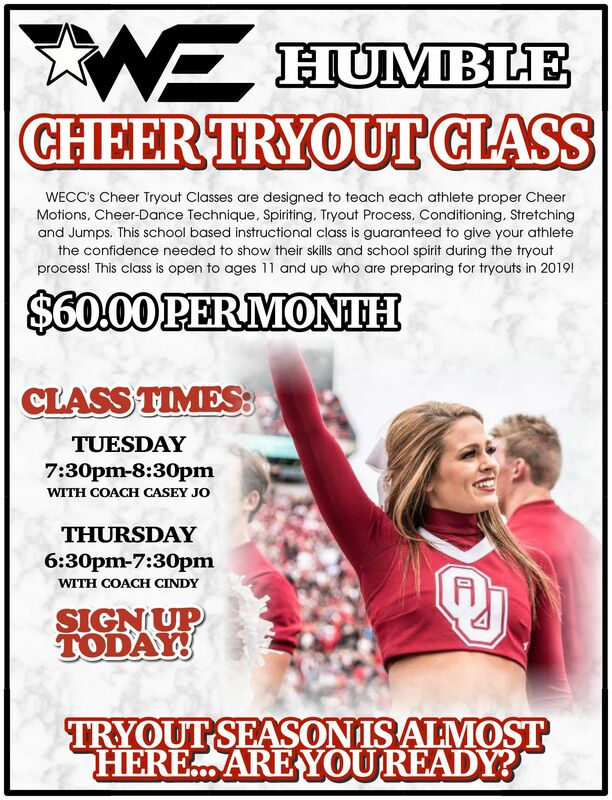 This 1 hour cheer class will focus on the fundamentals of trying out for SCHOOL CHEERLEADING. 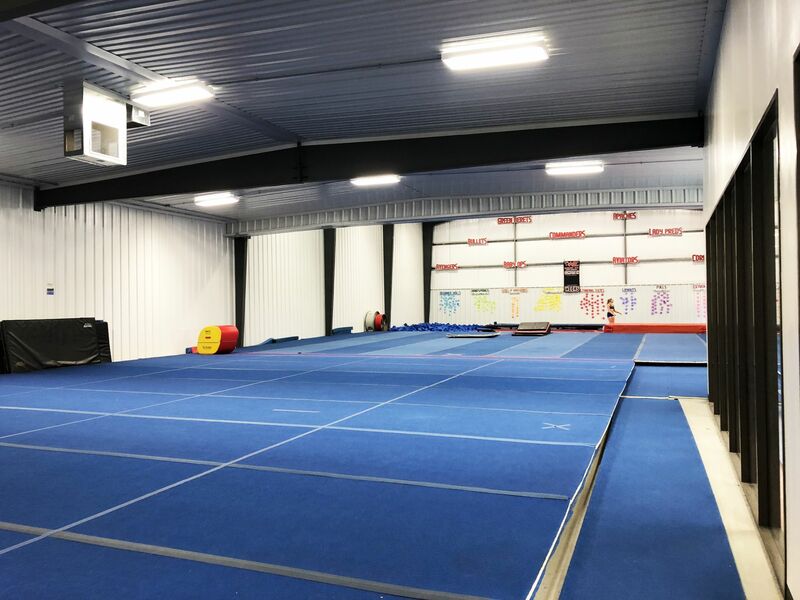 During this class your athlete will learn jumps, motion technique, spiriting, entrance and exit strategy, dance, voice projection, and how to be confident when performing for a audience. Our Instructors are experts in the school tryout score sheet and are eager to help your athlete develop their skills before try outs! There is no formal evaluation needed to register for this class! Please see your WECC front office to find the correct class time to fit your needs!